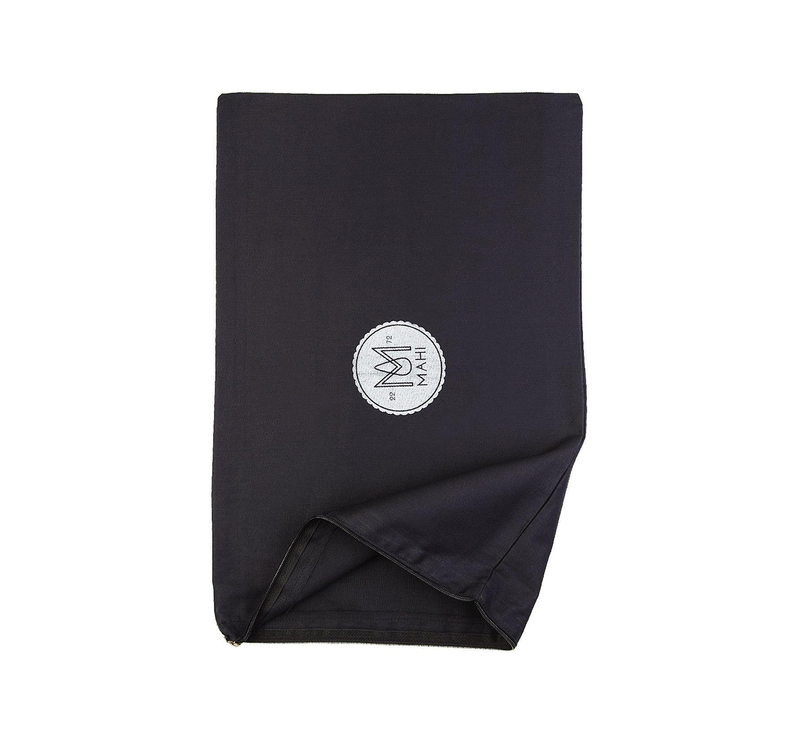 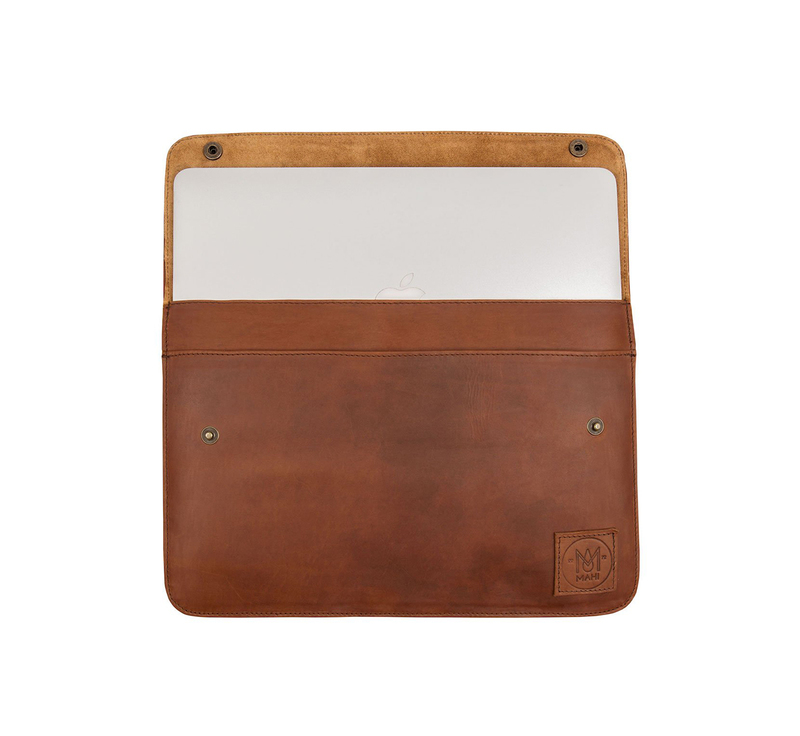 -- Please Select --11" 13"
Our classic laptop sleeve is made with beautifully supple leather on the main body and complimented with a mixture of cotton canvas and raw suede leather on the interior. 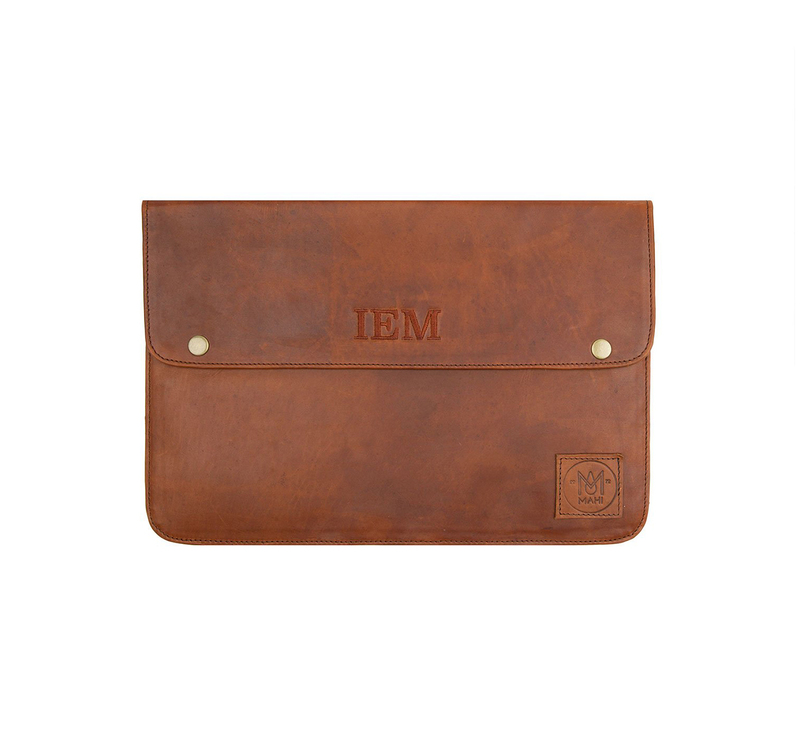 Other features include an external back open pocket and an internal front open pocket. 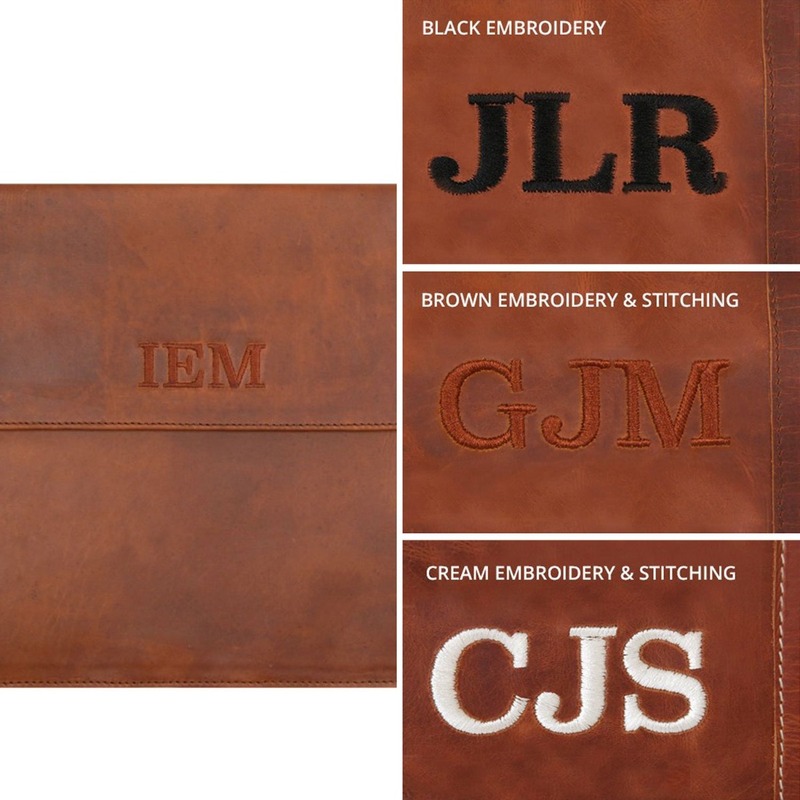 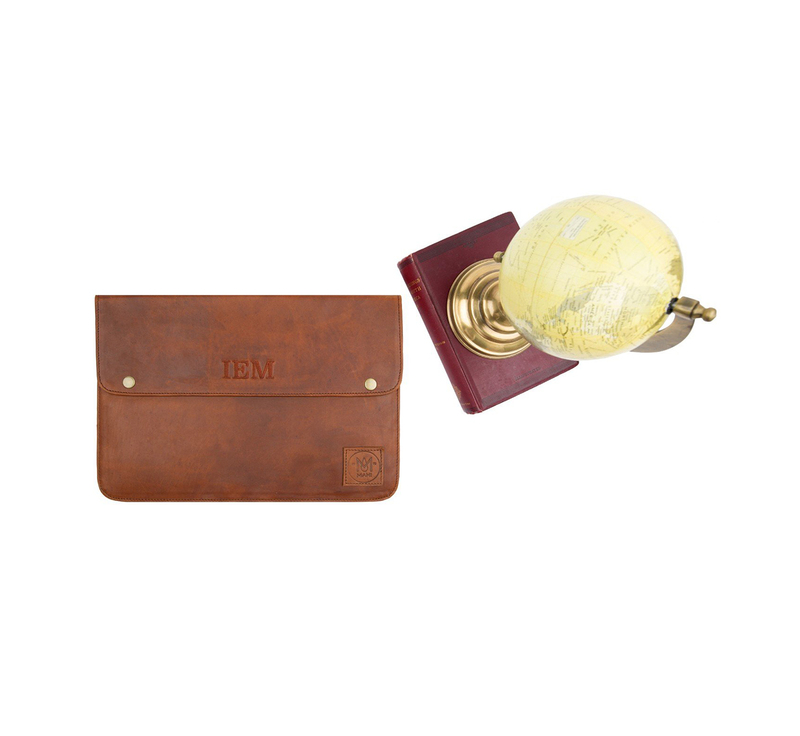 Features: Leather flap closure secured with two popper fastenings, front pocket and back pocket for documents, stationary or a small notepad.